Husqvarna was originally a Swedish Armaments firm in Husqvarna, Sweden which expanded into motorcycle production in 1903. 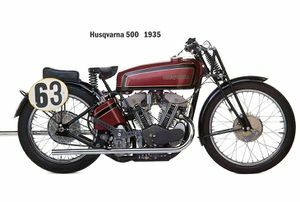 In 1920 Husqvarna established its own engine factory and the first engine to be designed was a 550 cc four-stroke 50-degree side-valve V-twin engine, similar to those made by companies like Harley-Davidson and Indian. During the 1930s, the firm built innovative 350cc and 500cc V-twins that were raced successfully by riders including Stanley Woods. 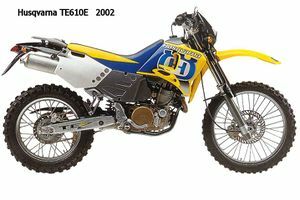 Husqvarna continued to build successful off-road competition machiens after roadster production was ended in the 1960s. In 1986 the firm became part of the Cagiva Group and Husqvarna production was relocated to Italy. 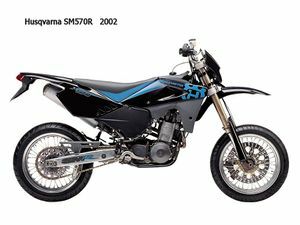 In July 2007, Husqvarna was purchased by BMW for a reported 93 million euros. BMW Motorrad builds Husqvarna Motorcycles as a separate enterprise. All development, sales and production activities, as well as the current workforce, have remained in place at its present location at Varese. This page was last edited on 9 May 2009, at 15:43.